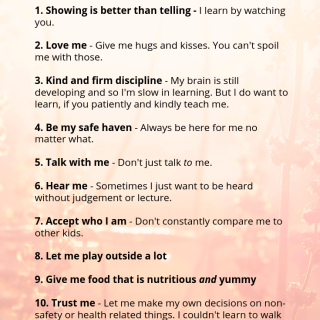 As parents, we often think about what we want for our children, but we rarely worry about what kids want. We assume we know more than our kids and our decisions are always better. However, if we listen closely to what they want, we will find that sometimes it really is something we should do…. Reinforcement and punishment are often used as parenting tools to modify children’s behavior. Let’s review the difference between positive reinforcement and negative reinforcement, and the difference in outcomes between reinforcement and punishment. Words of encouragement, when used right, can have powerful positive effects on kids. Here are 6 proven ways to encourage kids without negative side effects.